A new United Nations-sponsored report on the April 4 sarin incident in an Al Qaeda-controlled town in Syria blames Bashar al-Assad's government for the atrocity, but the report contains evidence deep inside its "Annex II" that would prove Assad's innocence. The JIM consigned the evidence of a staged atrocity, in which Al Qaeda operatives would have used sarin to kill innocent civilians and pin the blame on Assad, to a spot 14 pages into the report's Annex II. 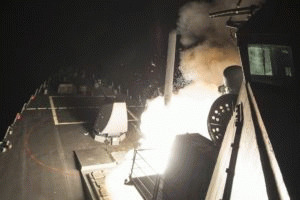 The sensitivity of this evidence of a staged "attack" is heightened by the fact that President Trump rushed to judgment and ordered a "retaliatory" strike with 59 Tomahawk missiles on a Syrian airbase on the night of April 6-7. That U.S. attack reportedly killed several soldiers at the base and nine civilians, including four children, in nearby neighborhoods. 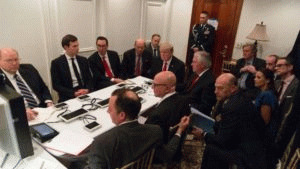 So, if it becomes clear that Al Qaeda tricked President Trump not only would he be responsible for violating international law and killing innocent people, but he and virtually the entire Western political establishment along with the major news media would look like Al Qaeda's "useful idiots." Currently, the West and its mainstream media are lambasting the Russians for not accepting the JIM's "assessment," which blames Assad for the sarin attack. Russia is also taking flak for questioning continuation of the JIM's mandate. There has been virtually no mainstream skepticism about the JIM's report and almost no mention in the mainstream of the hospital-timing discrepancy. To establish when the supposed sarin attack occurred on April 4, the JIM report relied on witnesses in the Al Qaeda-controlled town and a curious video showing three plumes of smoke but no airplanes. Based on the video's metadata, the JIM said the scene was recorded between 0642 and 0652 hours. The JIM thus puts the timing of the sarin release at between 0630 and 0700 hours. According to the report's Annex II, "The admission times of the records range between 0600 and 1600 hours." And these early cases -- arriving before the alleged airstrike -- were not isolated ones. "Analysis of the ... medical records revealed that in 57 cases, patients were admitted in five hospitals before the incident in Khan Shaykhun," Annex II said. Annex II stated: "In 10 such cases, patients appear to have been admitted to a hospital 125 km away from Khan Shaykhun at 0700 hours while another 42 patients appear to have been admitted to a hospital 30 km away at 0700 hours."